I am the BIGGEST fan of elopements and i am also the BIGGEST fan of Arielle and Konnor!!! They are literally two of the absolute kindest and most genuine people on the planet. No joke. 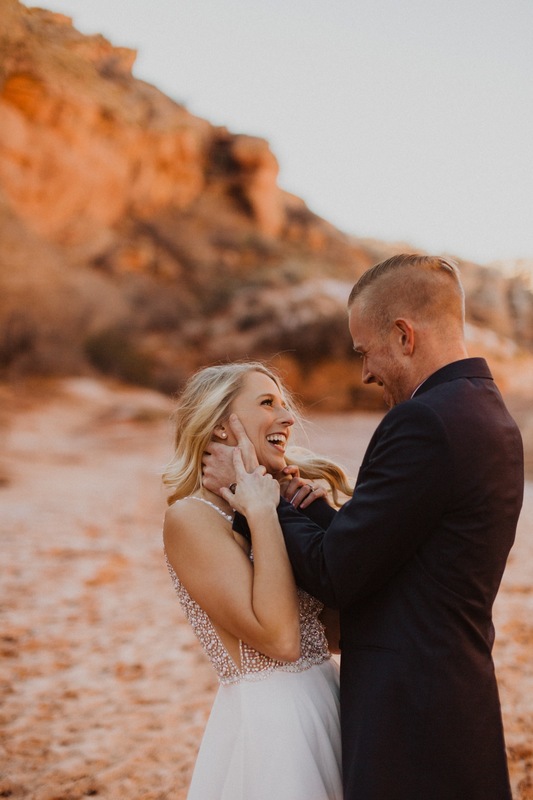 These two laughed and they cried on these gorgeous red rocks as they vowed to love one another forever. The ceremony itself was so small in comparison to the rising rocks that surrounded us, but their love filled the entire canyon to capacity. Also, only the beautiful Arielle could pull off wearing cowboy boots on her big day!! Such a fashion inspo!!! Congratulations, you two. love you both so much!!! ALSOOOO GRAB THE TISSUES CAUSE THEIR VID IS A REAL TEAR JERKER!! Fav fav fav video ever. Obvi done by my hot hubby Robbie Films! !